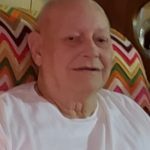 Jim Clair | Gerth Funeral Service, Inc.
James enjoyed learning new things. After retirement, he attended Grossmont College. After moving to Missouri to be closer to his siblings, he graduated from Truman State University with a degree in History and Sociology. He spent the next several years teaching homebound disabled children. He then spent the next few years working for the State of Missouri as a Social Worker for the Division of Aging. He retired in 1995. James found solace out in the timber. He would sit quietly listening to the birds and the wind through the trees. He enjoyed hunting, fishing, picking berries, and picking up hickory nuts. He was a great learner and was constantly reading. He was greatly versed in the Bible. In his last few years, he enjoyed teaching his grandson, Cody, how to hunt. He was always there for his nephew and nieces by marriage, Kelly, Erica, Audrey, Lindsey, and Andrew. He is survived by his wife, Betty, of the home; children, Doug, Brenda, JC, Jason, and Penny; grandchildren, Jennifer, Joelle, Cody, Sonia, Allison, Alyssa, Haeli, Quinton, Kian, Divinity, and Asher; and six great grandchildren. James Clair, I’m gonna miss you! Thanks for stepping in and being a positive figure in my life after my dad died at such a young age. Words can’t express how grateful I am for the life lessons you taught me. I’ll always remember you. I am sorry to hear about Jims passing he used to be our neighbor..I remember him helping Bitty fix her bike & just now discovered he may have served on the USS Kitty Hawk with my Uncle many yrs ago who served himself around the same time..
May Jim RIP in the big woods in the sky doing what he enjoyed..Prayers to his family & Thank You to Betty for you both being so nice to Bitty yrs ago..